Data shows that interactive streaming has become the dominant form of music consumption, largely replacing previous means of listening, and causing us to look back at the less than lucrative (albeit brief) fourish year period of music downloads. The five eras of recorded music: vinyl, tape, CD, downloads, and interactive streaming. Revenue in $millions. Source: RIAA. 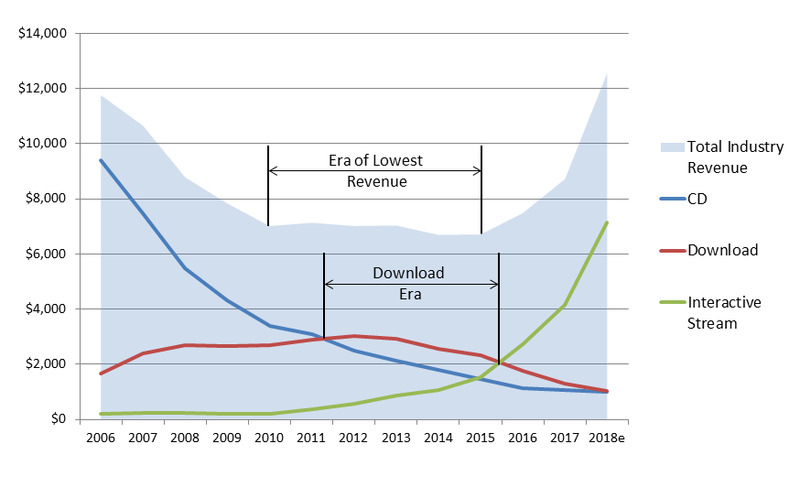 Downloads lasted for only four years as the leading source of revenue in the recorded music industry. That's the shortest era in the industry's history. And while it's tempting to think that the brief length was due to rapid technological changes that usher in the next shiny new thing more and more quickly, that's just not the case here. 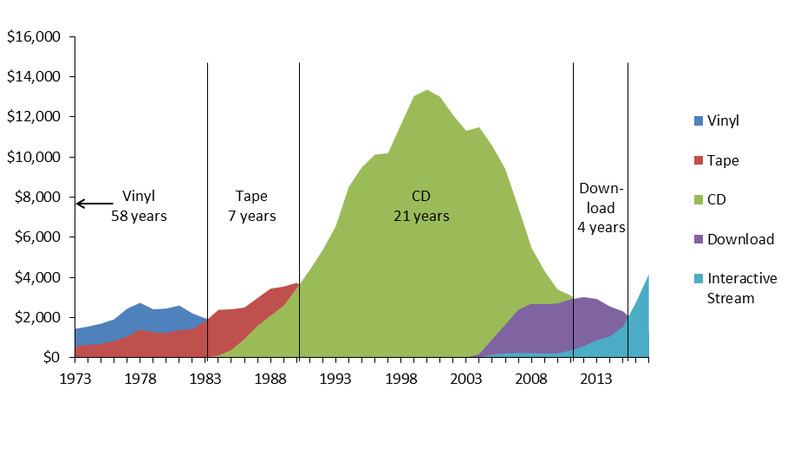 CDs lasted much longer than cassettes; and as the chart above indicates, interactive streaming is growing more rapidly than CDs or downloads in their heydays and should be the dominant source of revenue for some time to come —especially since we have no idea what technology will come next.